That’s right stop trying to think about ways to calm your mind and stop feeling all the stress. If you really have things you need to think about, think about them in a bath! If you're physically drained and feeling mental stress…. There is only one thing to do. Soak in the tub! However, I have some advice on how to make your bath even more relaxing. 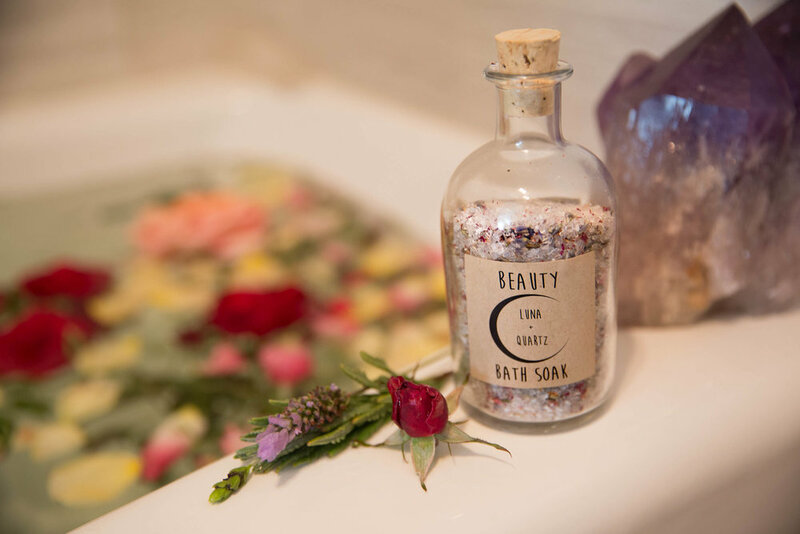 Soak in something that has the calming effect of Lavender in it. Add Epsom Salt, it pulls out toxins and leaves the skin feeling lovely. And why stop there now that we’re talking about skin! If you are really looking to hydrate your skin anything with Argan oil will work wonders! It is known to treat rashes, bug bites, and even skin infections. It is an all-natural moisturizer and it is super healing with antioxidants, Omega 6 fatty acids, and vitamin A & E.
Rosehip oil is also an amazing ingredient, especially if you find yourself in the sun a lot. The antioxidants found in this oil can combat the effects of UV damage combat free radicals. I’ve found an amazing cosmic brand that makes a perfect mix of these items! Get your Bath on lovelies! Newer PostStyled Yoga Gear? Yes Please!